Markysa Krisan Javen O'Loughlin (20, Cayon) was appointed as the new Miss World Saint Kitts and Nevis 2012 by Eversley Liburd and Joan Millard, president and vice-president of the Miss World St. Kitts-Nevis committee. She will represent the Federation of Saint Kitts and Nevis in Miss World 2012 in Ordos, Inner Mongolia on August 18. HÄMEENLINNA, Finland - Sara Chafak (21, 1.72m, Helsinki) was crowned Miss Suomi 2012 at the Vanajanlinna Castle located in the town of Hämeenlinna in southern Finland. She will represent Finland in Miss Universe 2012. Sabina Särkkä (23, 1.78m, Helsinki) finished as the first runner-up and is expected to represent Finland in Miss World 2012 in Ordos, Inner Mongolia on August 18. Viivi Suominen finished in third place and will go to Miss International 2012. 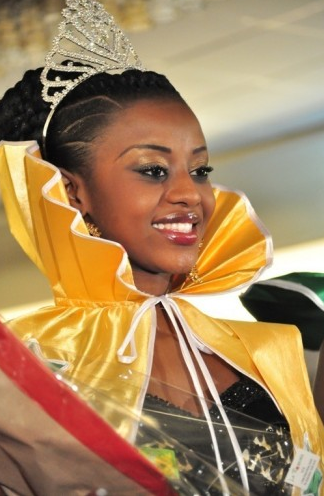 DAKAR, Senegal - Penda Ly (21, 1.75m) was crowned Miss Sénégal 2012 at the King Fahd Palace in Dakar on January 28. She is expected to represent Senegal in Miss Universe 2012 next December and probably in Miss World 2012 in Ordos, People's Republic of China on August 18. The participation in Miss World is unconfirmed. Thiéssoise Marième Thiam and Ndèye Marie Diaw completed the Top 3. 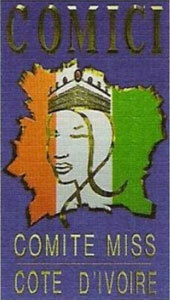 Miss Côte d’Ivoire 2012 will be held on June 2. The twelve provincial pageants will start on February 18 in Divo and end on May 5 in Bouaké. The 26 finalists will compete at the Congress Palace of the Hotel Ivoire in Abidjan. The winner will represent Côte d’Ivoire in Miss World 2012 in Ordos, Inner Mongolia on August 18. The Miss RDC pageant is back! The Miss République Démocratique du Congo (Miss RDC) pageant returns after a 4-year hiatus under the direction of the nation's Ministry of the Environment. A nation tour will take place to find the 22 contestants for Miss RDC 2012 at the 11 provinces. The winner of each provincial pageant and her runner-up will advance to the national finals to be held on June 23 in Kinshasa. Contestants must be between 18 and 23 years of age and at least 1.70m. The winner is expected to represent the Democratic Republic of the Congo in Miss World 2012 in Ordos, Inner Mongolia on August 18. However, the participation still needs to be confirmed. 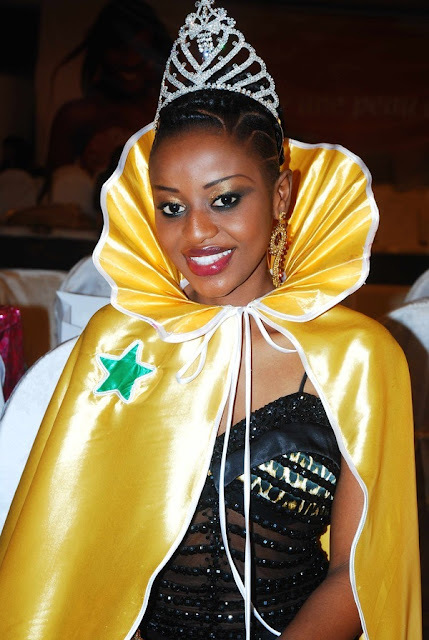 Current titleholder is Christelle Mbila (photo) who was crowned back in 2008. The Miss Perú organization presided by Ernesto "Tito" Paz recently announced that the representatives from Peru for Miss World 2012 and Miss Universe 2012 will be appointed. The names of both representatives will be revealed on early February. The Miss Peru 2012 pageant will be held in June and the two winners, Miss Perú World and Miss Perú Universe, will go to the 2013 editions of Miss World and Miss Universe, respectively. The decision was made to give a better and thorough preparation to the winners for their respective international pageants. 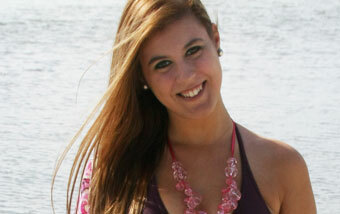 The 2012 representatives will be chosen from a group of former Miss Perú contestants. Jessica García Formentí Canseco (21, 1.78m, La Paz) was designated as the new Nuestra Belleza Internacional México 2012 by Lupita Jones, license holder of Miss International in Mexico. She will represent Mexico in Miss International 2012 in China. The current Nuestra Belleza Baja California Sur 2011 finished in the Top 15 at the Nuestra Belleza México 2011 pageant held in Puerto Vallarta last August. Nozomi Igarashi (24, 1.76m, Yamagata) will represent Japan in Miss World 2012 in Ordos, Inner Mongolia on August 18. She was one of the Top Four finalists of Miss International Japan 2012 held in Tokyo on November 20. Ikumi Yoshimatsu was the winner of the pageant. The announcement was made by the International Culture Association, license holders of Miss World in Japan. 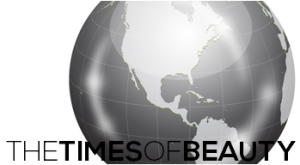 The search is on for Miss Mundo Brasil 2012! Ten contestants are vying for the prestigious Miss Mundo Brasil 2012 crown which will give the winner the opportunity of representing Brazil in Miss World 2012 in Ordos, Inner Mongolia on August 18. The contestants competed in previous editions of Miss Mundo Brasil and now they will have a second chance to showcase their talent, intelligence, altruism and beauty. KNOKKE-HEIST, Belgium - Laura Beyne (19, 1.72m, Brussels) was crowned Miss Belgium 2012 at the Casino de Knokke in Knokke-Heist. She will represent Belgium in Miss World 2012 in Ordos, Inner Mongolia on August 18 and/or Miss Universe 2012 depending on the schedule of both international pageants. The first runner-up was Aurore De Geest and the second runner-up was Jade Moens. Febe D'Haenens and Sherelle De Jong completed the Top Five.